Duchamp, Magritte, Dalí. Twentieth-century revolutionaries arrives to Madrid. 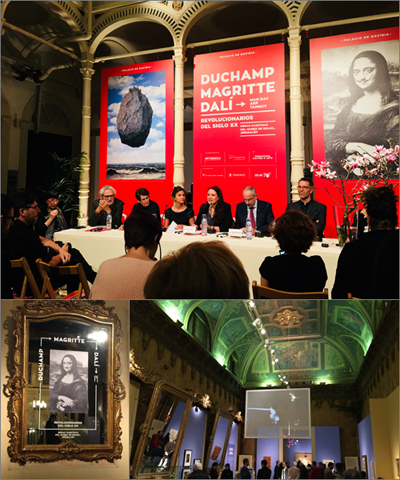 After its success in Bologna, the exhibition Duchamp, Magritte, Dalí. Twentieth-century revolutionaries, lands at Palacio Gaviria in Madrid, where it will remain until mid-July. 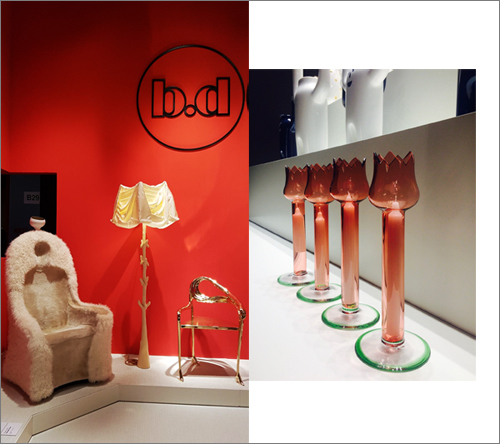 The chandelier and the Dali's dreamt chair have been shown at Milan furniture fair by BD Barcelona Design. 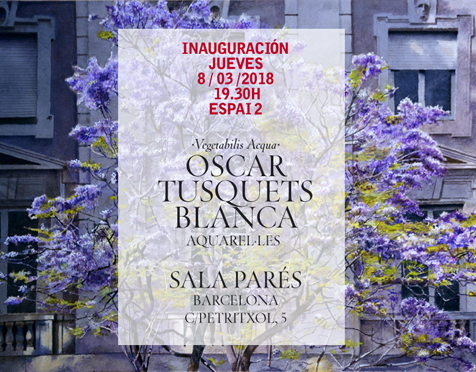 By the express desire of the gallery owner Joan Anton Maragall, 14 vegetal theme watercolors have been exhibitedin the emblematic Sala Parés of Barcelona. From a wisteria of the South of France to the jacaranda that invades every year the Pedralbes promenade in front of the noble buildings of the architect Duràn Reynals. Drawings and documents made by Lluís Clotet and Oscar Tusquets Blanca in 20 years of collaboration, in an exhibition organized by COAC. In the background of the so-called Col.leccions COAC, the exhibition CLOTET_TUSQUETS (1960-1980) shows documents and objects that both architects have donated to the Col.legi d'Arquitectes de Catalunya, focused on their twenty years of intimate collaboration. The exhibition runs from their first works, such as the interior design of Col.legi Major de Peñafort or the emblematic Belvedere Georgina, going through objects such as the successful Campana AE or the Banco Catalano, to their later and more complex works. Drawings, plans, watercolours. Pencil, vegetal paper, graph paper. Two decades of manual work fill the furniture-screens that both architects have specially designed for this and further exhibitions as a present to COAC. Images of relevant photographers such as Oriol Maspons, Colita, Jaume Blassi, Leopoldo Pomés and Lluís Casals, complete an exhibition that aims to bring the work to the public.